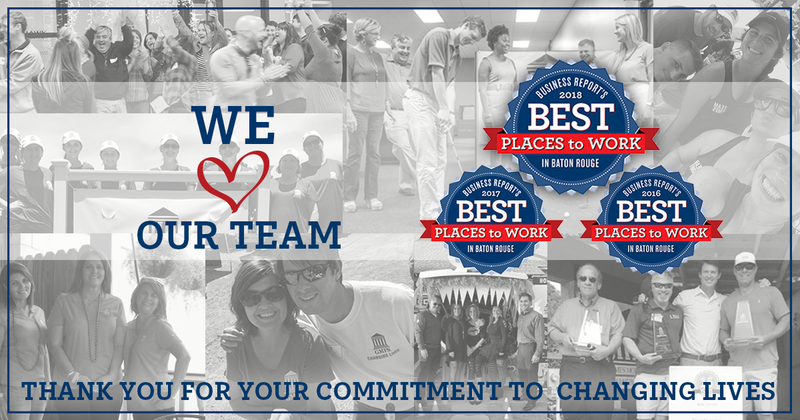 GMFS Mortgage Named a Best Places to Work in Baton Rouge - Again! GMFS Mortgage #2 Best Place to Work in B.R. The Greater Baton Rouge Business Report has named GMFS Mortgage #2 Best Place to Work for 2018! GMFS Mortgage was also named a Best Places to Work in 2016 & 2017. The rankings of the winning companies were released September 26th and GMFS Mortgage ranked 2nd out of 50 in the Large Baton Rouge, LA companies category! This survey and awards program was created in 2014 to identify, recognize and honor the best places of employment in Baton Rouge, Louisiana benefiting its economy, its workforce and businesses. Read about the Top 5 2018 Best Places to Work Winners for Baton Rouge, LA companies with 250 or more U.S. employees. Companies from across the region entered the two-part process to determine the Best Places to Work in Baton Rouge. The first part consisted of evaluating each company’s workplace policies, practices, and demographics. This part of the process was worth approximately 25% of the total evaluation. The second part consisted of an employee survey to measure the employee experience. This part of the process was worth approximately 75% of the total evaluation. The combined scores determined the top companies and the final rankings. Best Companies Group managed the overall registration and survey process in Baton Rouge and also analyzed the data and used their expertise to determine the final rankings.